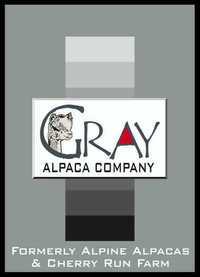 We love making gray crias at Rainier Alpacas but what do you do with your white dams? Kozmo is the answer!!! Kozmo is a male who consistently draws gray from the most unlikely combinations.Kozmo's sire is Lanark's Silver Charm and his dam is a DF older chilean import that consistently throws fantastic offspring. 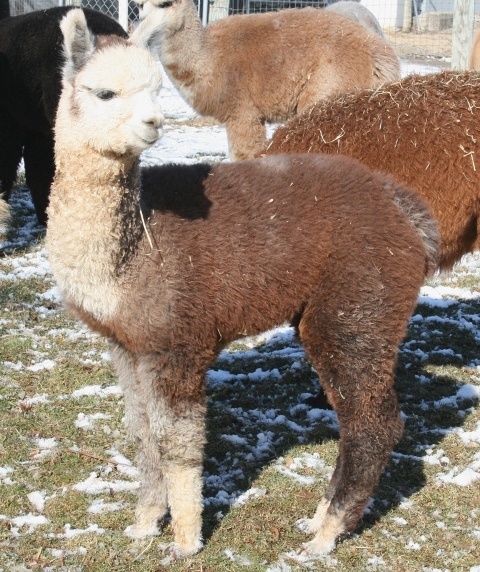 Kozmo's first offspring was sold to Alpine Alpacas and is taking nothing but blues in the shows on the east coast. 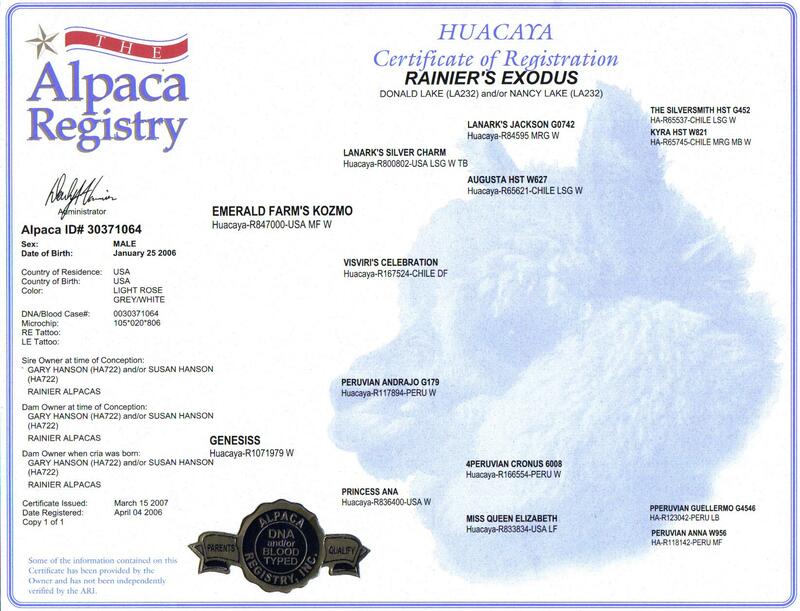 Check out Rainier's Exodus, he is a LRG male with a micron in the seventeens. 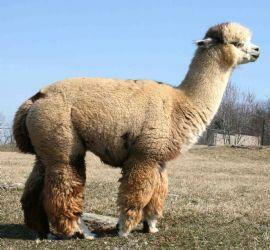 Kozmo's crias have had microns in the teens with comfort factors of 99%. He has thrown heavily females for a added bonus. 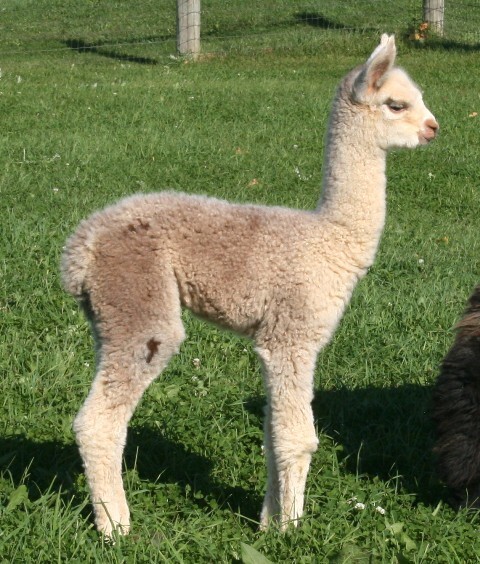 Kozmo's 2007 cria have been a vast improvement over their dams with density, tiny tight zipper crimp and loads of luster. 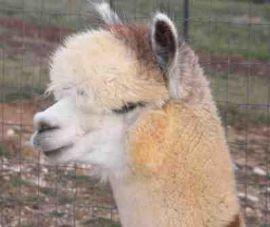 From what we have seen so far they have inherited Kozmo's laid back personality making his cria a dream to handle. 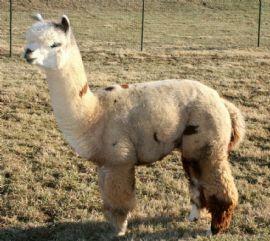 Kozmo brings fineness from his fawn genetics that can be often lacking in the gray show ring. Genesiss was the first animal born on our farm and what a beauty is she! She is the whole package, starting with her great bloodlines! She has amazing coverage, and perfect conformation. 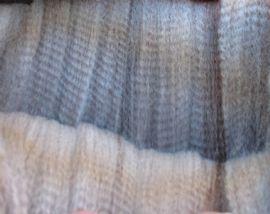 Her fleece is also fabulous! The staple length, crimp and density on her is truly amazing! This is one girl we aren't planning to let go of any time soon! He has excellent crimp and density. 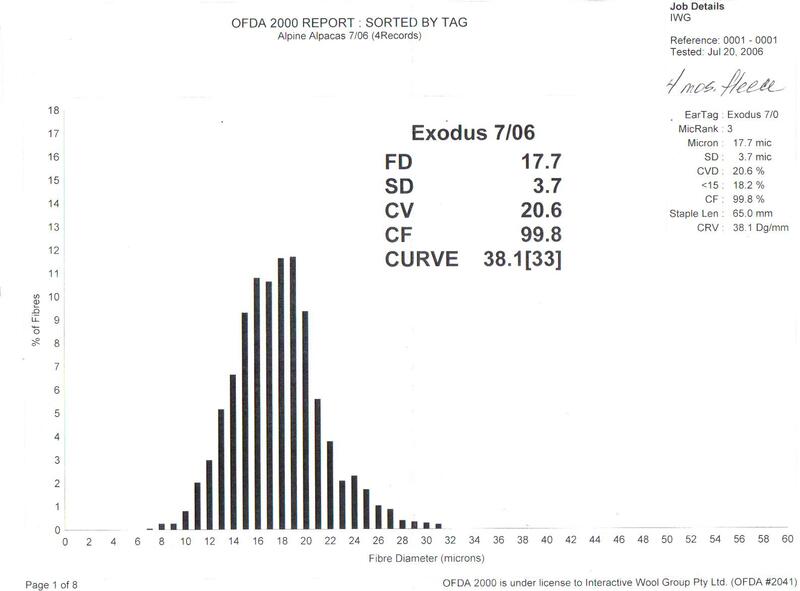 See his early histogram at left. He is compact with excellent bone and proportions. We took him to OABA where he was the smallest and one of the youngest in his class. He proudly accepted top honors with the BLUE RIBBON in his first show. He is now a big boned, compact, 165 lbs. His offspring are now winning Championships and Blues in the show ring, too.